Spherical roller bearings are widely used in steel, paper, marine, electric power, engineering machinery, etc. due to their high load carrying capacity, good vibration resistance, and compensation for concentricity errors due to machining, installation, and shaft deformation. The industry's steel-making converters, continuous casting machinery, paper machinery, lifting machinery, reducers, vibrating screens, crushers and other mechanical equipment. With the continuous research and optimization of spherical roller bearings in recent years, the design and processing technology of spherical roller bearings has been rapidly developed, and its performance has also been greatly improved. Especially in recent years, spherical roller bearings have been greatly improved from the internal structure to the materials used. Improvement of steel and improvement of manufacturing precision, equal stress design with roller and raceway contact, self-guided roller design, and internal macroscopic geometry change. One uses symmetric roller, cancels spacer ring, and increases roller diameter. And the length, increase the number of rollers, so that the life of the spherical roller bearing is about six times longer than the original, and the limit speed is increased by nearly three times. E-shaped structural bearings have no fixed intermediate ribs and small ribs. They are made of steel stamping cages. 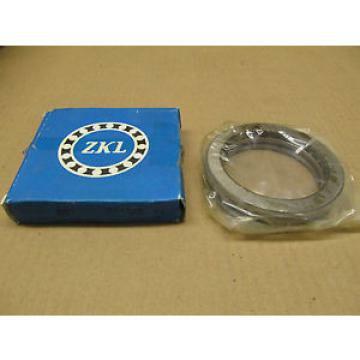 The inner and outer rings and rolling elements are similar to CC-type spherical roller bearings. The main difference between the two structures is in the cage and the middle. The structure of the retaining ring. The CC type spherical roller bearing cage has a bowl shape and adopts a radial locking rolling body at the lintel, which has the advantages of simple structure and easy processing. However, the minimum width of the girders of the structural cage is small and the strength is poor. However, the number and diameter of the rolling elements are limited near the diameter of the center circle of the rolling elements, which is an important factor restricting the radial dynamic load of the spherical roller bearings. one. As shown in Figure 9, the cage lintel is located near the centerline of the rolling element assembly, where it is almost the maximum position of the longitudinal dimension of the rolling element, so the width of the lintel is greatly limited, and because of the presence of the locking point, The width of the lintel is narrow. In the design process, in order to ensure sufficient strength and rigidity of the cage lintel, measures to reduce the diameter of the rolling element and reduce the number of rolling elements are often taken, which will inevitably affect the radial dynamic load of the bearing. The shape of the E-shaped cage is relatively complicated. As shown in Figure 10. The structural cage lintel avoids the maximum size position of the longitudinal section of the rolling element, and the lintel is within the diameter of the center circle of the rolling element, so that the strength and rigidity of the lintel are improved, and the large end plate is pressed to form a lock point. The function of locking the rolling elements is achieved by means of the recesses of the rolling body end faces, which reduces the influence on the strength and rigidity of the lintels, so that an increase in the number and/or diameter of the rolling elements is made possible. However, the design and processing of such structural frames are difficult. At present, some domestic cage processing enterprises have successfully developed the "Z" series under the technical guidance of the Central Axis Technical Committee. Some of the products and applied for domestic patents.